When you’ve maintained your furnace well, you’ve set yourself up to get the approval of a would-be buyer. What’s more is that realtors will tell you that the absence of proof that you’ve been maintaining your furnace can reduce the value of your home. We know that Spring weather means storms…storms that are often accompanied with high winds! Even though the weather can be unpredictable and it can change quickly in the Spring, we can be more prepared and safeguard our home by considering these 4 steps. 1. Check your gutters and clean out the built-up debris. When the warmer weather hits, it’s tempting for us to spend more time outside. While you spend more time outside, consider checking your gutters to see if the winter debris has built up over the cold winter months. In all likelihood, it will be best for you or a professional to clean out your dirty gutter: after all, they are most likely full of leaves, acorns and other winter debris. With all the other “Spring cleaning” we do, this is one not to forget—even though water-back up can do major damage to our home. Be sure not to ignore the state of your gutters, especially before any heavy rain, or storm! 2. Check your HVAC unit before severe storms hit. 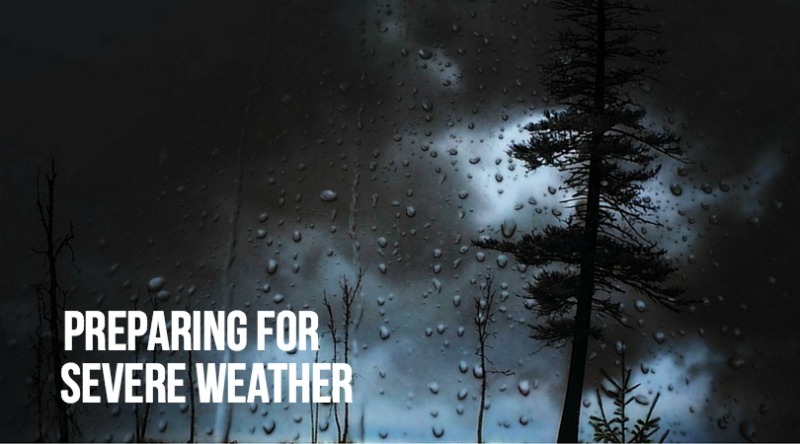 Just like with other preventative measures, the weather in Spring may be unpredictable, but if we take a few proactive steps now, we can save ourselves a lot of issues if bad weather does hit. If the weather report says that a severe storm (or high winds and/or hail in particular) is on its way, and the AC is running, aim to continue to cool your home as much as possible. That’s because if the storm is bad enough, you may not be able to utilize the AC when the storm is passing through. In less severe weather conditions, there are some other steps you will still want to take. If you have window units and the storm is severe enough, it may call for unplugging them during the storm, depending on the make and model. Of course you want to be sure any and all windows are securely closed, and that blinds and shades are completely drawn before any storm comes through. Ensure that nothing such as patio furniture or lawn/gardening equipment is too close or near your HVAC unit. If winds get strong enough, chairs, lawn/patio furniture or fixtures, or any other kinds of objects can end up hitting your HVAC. You wouldn’t want any object to hit and damage your unit if you can prevent it from happening! In some cases, you may want to invest in a tarp or protective cover for your outside unit. Ask us for more information when we come to your home for your Spring tune-up. 3. Have basic supplies on hand. If a power outage were to occur, would you have a basic amount of emergency supplies for you and your family? It’s never a bad idea to have drinking water, a (transistor or battery-operated) radio of some kind, a first-aid kit, blankets and/or towels, flashlights, or even spare batteries on hand if any major storm hits. Depending on just how bad the storm is anticipated to be, there may be even more emergency supplies you would want to have on hand—that’s just a list at minimum. Sometimes we have enough warning where we can also be sure that our cell phones are fully charged. Charging our cell phones as much as possible, and then preserving the battery if the electricity goes out is a safety measure that can be in the best interest of your family. 4. Be sure to check your HVAC after any severe storm with high winds and/or hail. While the first 3 tips are meant to be done before a storm hits, if severe weather hits, you’ll want to take a look at the outside of your home—like your roof—and even inspect your HVAC unit. Once it is safe to go outside, you want to be sure that your unit is still free of leaves, twigs, pollen, grass, or any other debris that the storm has moved close to the unit. Then, aim to look around your entire home and lawn to be sure no damage has occurred anywhere, not just to your HVAC, but to the rest of the home. If you experienced extremely high winds or hail, take a close look at the unit itself making sure nothing has damaged it. If you have any concerns while looking over your unit (or hear any unusual sounds you have never heard before coming from the unit), be sure to give us a call. When the bad weather is long gone, you can move your patio furniture back and adjust the blinds/windows within your home to your liking. These 4 tips may take a bit of time to implement, but in the end, a little bit of maintenance will save you money, help you avoid ugly repairs, and keep your family safe and comfortable. Greater Comfort is your local heating and air conditioning company based in Newport, Kentucky. Our furnace and air conditioning experts proudly serve all of Northern Kentucky, Greater Cincinnati and Southeastern Indiana. Our highly trained technicians bring our special brand of expertise and customer service to every job we perform. Give us a call today for your spring tune-up/maintenance or AC install needs at 859-491-4915. Any homeowner knows that you want your heating system to be working properly. In the winter months it can become a complete emergency if we have to go without heat due to a problem or breakdown with our furnace. If you’ve been avoiding thinking about your furnace, or if you wish you knew more about the inner working of the heating component of your system, the time to learn more is now. Here we break down what you should know about your furnace. Although every unique furnace model will vary, your HVAC system typically is made of 4 components: the indoor part of the system such as the furnace or air handler; the outdoor unit such as the air conditioner or heat pump; the thermostat; and the air quality component such as humidity control components or your air filtration. Heating capacity: depending on your home’s unique needs, this refers to the overall capacity that your furnace has. Exhaust: if it were to build-up without ever being cleaned, exhaust that is a byproduct of your furnace can pose a risk to your health and safety. Electrical: not to be forgotten is the key that your electrical plays in keeping things running. A single-stage furnace is one with one speed—meaning you have full heat (maximum speed) that provides you with warm air. In simple terms, your system will then “wait” for the air to cool down, which then triggers your furnace to turn on again. This is how conventional furnaces work to heat your home in the winter. You can see how this “off or on” furnace setup is not as efficient as furnaces that have adjustable and adaptable furnace capacity. With a two stage furnace, you have greater control and consistency as you heat your home, versus an “off or on” setup. Having the ability to be more precise means you can control the heat output of your furnace on an ongoing basis, even as the temperature outside changes throughout the day. With a variable speed furnace, the fan moves at various speeds in order to control the amount of heat that is dispersed throughout your home. An increase in airflow means you have a more comfortable home, including improved air quality. In the end, single-stage furnaces will inevitably result in constant variation of temperature. Those homes with two stage or a variable speed furnace are more adaptable in real-time, and in most cases, they allow you to keep a more constant temperature in the home. What Else Should I Know About My Furnace? Humidity in your home: you can benefit from a humidifier and dehumidifier in the home, as they help control your humidity level. Some systems are built into your system, but also we can help if you want to add a separate dehumidification or humidity system to your current setup. The benefit of flexible solutions: conventional heat pumps would force heated air through ducts. Compare this to ductless systems, which work to deliver air directly into various zones of the home. The reason ductless systems are popular today is because they can deliver this heat on a room-by-room basis. This is why you will hear people talking about the idea of zone-based heating—in this case, they are speaking of ductless systems. Many people choose this as an option for heating and cooling because of overall cost savings. You have more, efficient options than ever: Ultimately, your HVAC deals with heating, cooling and ventilation. The US Department of Energy reports that modern heating systems can achieve efficiencies as high as 97 percent. That means higher efficiency, increased savings and greater comfort with a modern furnace that has the potential to covert nearly all that fuel to useful heat (1). In this post, we have covered the heating component. Stay tuned for more on what you should know about the rest of your system. Now that you know a bit more about your furnace, you are better equipped to make future decisions about your home’s air quality and heating/cooling. Give us a call today to learn more—especially if your furnace is not heating right, is louder than normal, only runs for a few minutes, or if the furnace blower is showing signs of not working consistently. Other signs you should give us a call can include excessive dust in the home or humidity-related issues. If you’re doing research or considering new heating and cooling equipment, give us a call at 859-491-4915 to learn about your energy-efficient options that are best suited for your home. Many furnaces operate between 16 and 20 years. After that point, new models can end up saving you as much as 20 percent on your energy bill. What are some signs that you need to consider installing a new HVAC? Even if you’re system seems to be working fine, if you see an increase in your monthly bills (month to month or year over year) that’s unexplained, it could be a sign your system is not as efficient as it used to be. So how do we measure your heating system’s efficiency? When it comes to the efficiency of furnaces and boilers, we look at efficiency in terms of annual fuel utilization efficiency, or AFUE. To get the AFUE, we look at how efficient the appliance is at converting energy to heat and we divide it by the amount of fuel used by the appliance each year. Lennox® brings you high efficiency and maximum air quality and ongoing comfort. Additionally, Lennox® furnaces are also up to nine times quieter than competitors’ models. The decision is yours, but know that a more mature system may require more repairs, and those repair costs should be taken into consideration. A general rule of thumb is that if your repair costs are going to exceed 30 to 50 percent of the cost of your system’s value, it’s time to seriously consider getting a new system. 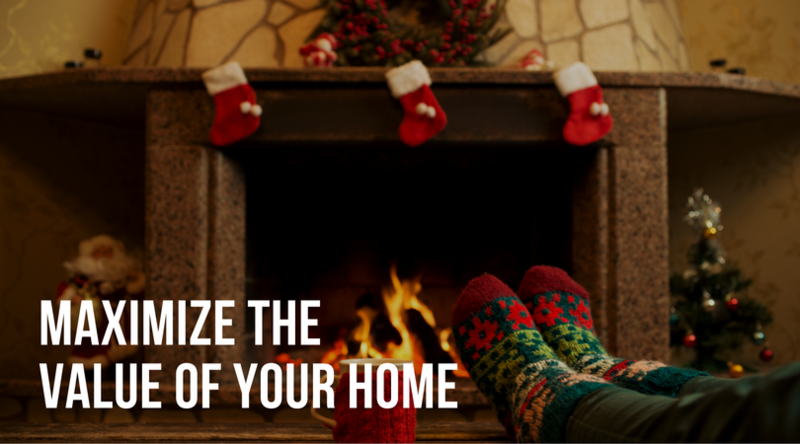 Ready to say goodbye to your furnace? Call us today to receive $400 off any complete Lennox HVAC system not covered by a Lennox Factory rebate. Simply tell us you saw this promotion on our blog. Give us a call today to learn more at 859-491-4915. Emergency furnace repair in Northern Kentucky is just a phone call away. 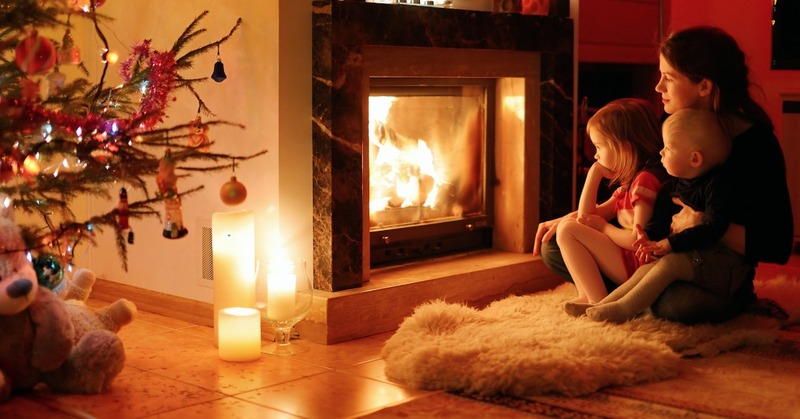 Greater Comfort Heating and air conditioning is dedicated to ensuring you and your family stays warm this winter. If you are having problems with your furnace, Greater Comfort can help. 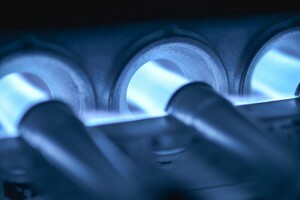 Our heating repair specialists are factory trained and dealer authorized to work on every major brand of heating system. We can get yours back in top condition quickly. Whether your system is not producing enough heat for your home or you notice an increase in the cost to operate your system, we can fix the problem. We offer 24-hour emergency service for furnace repairs in the Northern Kentucky area. No matter what time of the day or the night, one of our highly trained service technicians is available to come to your home and help resolve any issue you may be experiencing with your furnace. Our reputation – Greater Comfort Heating and Air Conditioning is one of the oldest heating and cooling companies in the Northern Kentucky area. We have been providing HVAC service to the tri-state area for over 60 years and we are dedicated to offering you the best customer service and expert care around. 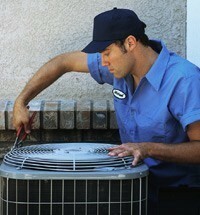 24-Hour Repair Service – We understand that your heating and cooling system works outside normal business hours. You can’t always schedule when you need maintenance or repairs. For this reason, we offer customers like you the advantage of 24-hour emergency furnace repair in Northern Kentucky. We Service A Large Area – We service the entire Tri-State area. Whether you are from Northern Kentucky, Greater Cincinnati or North-Eastern Indiana, we can provide you with excellent furnace repair and service. We Service All Makes and Models – Due to the advanced training our heating repair specialists receive, they are able to repair your furnace regardless of the make or model. When you need the help of an HVAC company during an emergency, you can depend on the quality of service you receive at Greater Comfort Heating and Air Conditioning. We also offer routine maintenance on your heating and cooling system to ensure you don’t need repairs as often. Call today and let Greater Comfort Heating and Air Conditioning take care of your furnace repairs. When it’s time to replace your furnace, you will be replacing it with a newer model that is more cost effective. High efficiency furnaces will have an AFUE rating of over 80 and can save you money on heating your home. 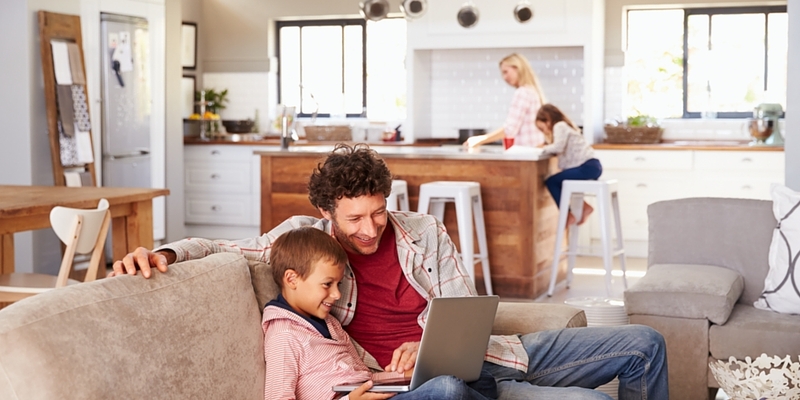 When choosing a new furnace, your technician from Greater Comfort Heating and Air Conditioning can advise you one the best model and product you need. The AFUE (Annual Fuel Utilization Efficiency) is a Department of Energy number rating system that tells how energy efficient your new furnace or broiler is. The numbers range from 1-100 and the higher the number the better. As of May 2013 all new furnaces in the United States have to have an AFUE of at least 80. The AFUE number is actually a percentage that tells you how much of the energy is being used by your system and how much is wasted. If your furnace has an AFUE of 80, then 80% of the fuel is being used and 20% is wasted. That is like saying for every dollar you spend heating your home, 20 cents is tossed out the window. Normally you do not need to replace your older furnace before it is time because of a lower AFUE. When your furnace is no longer working properly or is requiring furnace repair often, you should begin to think about a new replacement. If you have questions about replacing your furnace, ask your technician during your home maintenance and they can give you some answers. AFUE ratings also refer only to the furnace or broiler itself. If you truly want to reach maximum efficiency, you will need to also have your duct work sealed and other components working at their peak efficiency. When it comes time to replace your furnace, you will be given a few options. Pay attention to the AFUE number. It is important that you have your new furnace installed by a reputable company that can help you get the most out of your furnace with proper installation and the right size unit. Choosing a new furnace will help keep your heating bills down and your furnace repairs to a minimum. If you have any questions about replacing your furnace or heating unit, call the experts at Greater Comfort Heating and Air Conditioning and they will be happy to help you. Customers receive exceptional service from Greater Comfort Heating & Air Conditioning’s highly trained technicians. Greater Comfort Heating & Air Conditioning has been offering heating, air conditioning, and indoor air quality services in Northern Kentucky, Southwest Ohio and Southeastern Indiana for more than 60 years. Our highly trained team of technicians provide the expertise and outstanding customer service you expect. Call us today to handle your furnace services needs. Short cycling describes the problem of a furnace that frequently turns on and then off repeatedly. This may not sound very serious, but short cycling can be indicative of a larger problem and can cause unnecessary wear and tear to your home heating system. Luckily short cycling is fairly easy to recognize, and it can be caused by a number of factors and conditions that do not require serious repair work. If you notice your furnace short cycling the first thing you should do is check your air filters. Refer to an owner’s manual or call a professional if you do not know where to locate the filters or are not comfortable checking them yourself. Short cycling can be cause by restricted air flow and dirty air filters are one of the most common causes of this condition. Replacing the filter is a good habit to get into to keep air flowing freely. Other causes of restricted air flow that may be leading to your furnace’s short cycling include blocked air vents and registers. Makes sure that nothing is blocking the air registers throughout your home such as furniture or clutter. If neither of these issues seems to be the problem, call in a professional as soon as possible to diagnose the cause of your furnace short cycling in Newport, KY. There are a number of other possible causes of short cycling that only a professional should deal with. Problems with the blower of a furnace are common culprits of short cycling. Older model gas furnaces used a belt and motor to drive the wheel which would blow air into the house. Nowadays most furnaces use what’s called a direct drive blower which does not require maintenance. However, if your furnace is older it is possible it is still using the separate motor and belt system type and a little lubrication could fix your short cycling problem. It may sound simple, but be sure that a professional handles the job. Changing an air filter is one thing, but when it comes to maintaining and repairing any inner workings of your furnace there is just no safe way to do it, for you or your furnace, without the training and experience that professionals have. If you would like more information about short cycling or common furnace problems in Newport KY, call Greater Comfort Heating & Air Conditioning with any questions you may have. We’re always happy to share our knowledge and expertise with you. It’s important for you to understand the basics about the way your home comfort systems work and we can help you do that.